Your home is exposed to a lot of elements day to day, both inside and out. But no part is probably more prone to wear and tear than the roof. This then makes it less surprising to find a number of issues developing over time with regards to its integrity. A roof repair company is supposed to take care of these problems. But with the multitude of negative by-products that go along with roof dilemmas, some homeowners might find it a bit confusing what to approach a roof contractor for. To clarify the situation, here are some of the usual problems you should consult with a competent roofer. a. Field of Shingles. This particular roof problem is characterized by loose or worn down individual roof tiles that leave the supporting wood panel prone to damage. Often times, this leads to water pooling, blow offs, shrinkage of field membranes and leakages. Depending on the extent of this problem, it may take days before it becomes resolved. But it is worthwhile to avail of roof repair services for solutions instead of trying to fix it yourself because there may be underlying problems you are not yet aware of. b. Blocked roof valleys. Firstly, valleys refer to those areas of your roof that are meant to route accumulated water to edges and gutters for disposal. Sometimes, when they are not improperly installed, the water is blocked off from their normal pathway and not able to flow freely. As a result, they inflict pressure on the tiles, which then cause significant damage. Gradually, this exacerbates and leads to problems as minimal as discoloration to as huge as leakages. c. Head wall flashing. The head wall, meanwhile, refers to that part of your roof that slopes down to an area where it meets the flat face of a wall. Like valleys, this particular space collects a lot of rain water and it pools it. Water can then promote rusting, which would then develop into small chinks, and escalate to leakages and the weakening of the roof's structure. This can be particularly devastating for the home if left untreated. But an experienced roof repair company should be able to correct the situation on time and prevent further aggravation. d. Gutter problems. Now, even though they are covered, this section of the roof collects a lot of debris which eventually piles up and clogs the system. Sometimes, even rodents and birds get into those areas and cause trouble. If they are clogged or compromised, the gutters end up not helping the rest of the roof eliminate menacing water and other unnecessary contaminants. Yes, maintenance and repair may be something you could do on your own. But a contractor will be able to work out the problem faster, without inflicting any form of damage to the rest of the parts. e. Chimney sagging, flashing and buckling. It may technically be part of the heating system of the house. But professional roofers also have some jurisdiction when it comes to solving physical chimney problems that arise out of the lack of maintenance. They collect water, they degrade surrounding materials and they sometimes skew out of age. This is the reason why some contractors actually view them as danger zones. If you're experiencing problems with your roof call Above All Roofing. We are a family owned and operated contractor located in Vacaville, California; serving the surrounding counties and the Bay Area. We are here for all your roofing needs. 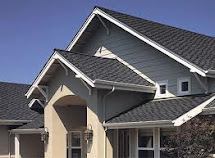 We have extensive knowledge, with 37 years of experience in many types of roofing systems. We are licensed, bonded and insured and a member of the Better Business Bureau. Is your roof in need of repair? Are you having trouble knowing where to start when looking for a roofer to take care of the job? If so, there are a few things that you can do that will make your search easier. The first thing you should do when trying to find a roofer is to look for someone who is licensed to perform the work. In most cases, it is much safer for you to hire a licensed individual or company than it is to hire a private, unlicensed individual. This is because licensed workers come with an extra level of security for the consumer in the form of a licensing board. These workers are held accountable for the quality of their work by the licensing board, and this gives you an extra assurance that the work done will be of a high quality. Aside from looking for a licensed individual, it is also important that you get a recommendation when looking for a roofer. You should ask around among your family, friends, and co-workers. The odds are good that someone you know has had work done on their roof in the past, and it is always helpful to find out whether or not they were satisfied with the work that was done. This can be helpful information to have because it allows you to know that the person you hire does quality work, and it establishes a working relationship with that person prior to having the work done. Finally, when looking for a roofer, you should always shop around for the right price. To do this, you should begin by spending some time at your local hardware store to price the materials that will be needed for the job. Then, once you have an idea as to how much materials will cost, you should begin calling several individuals in order to find out how much they will charge for labor. This will give you an idea of the cost involved and will allow you to make an informed decision. All in all, there are several things that you should do when hiring a roofer. You should always look for someone who is licensed, get a recommendation, and shop around for the right price. Doing these things will help to make sure that you are happy with the job that is done. Lot of people don't realize that their roof has been harmed till they see a crack or falling shingles, at which point the problem is already far gone. The only means to catch these problems early, when they are much simpler and cheaper to correct, is to perform normal roof inspections. Here are a few of the most essential things to try to find. First be safe when you go up onto the roof. Definitely ensure that somebody knows you are there, or have someone monitor you. Move slowly and cautiously, utilizing your hands to support you, even crawling to offer yourself a lot more hold. Take into consideration having a professional roof examination. The inspector knows just what to seek, and will certainly have the proper experience and protection equipment. If you see broken tiles or shingles, avoid walking on them. They might break. Notice whether wear is evenly distributed or found in just one location. Different inclines are exposed to different conditions, such as direction of the wind or direct sunlight. The kinds of damage that a roof can easily suffer depend on the materials. For asphalt roofing, one of the early signs of damage is granule loss from shingles. Curling of shingles is an additional sign to watch for. They might also show cracks, scarring (as from extended contact with tree branches), or delamination. Discoloration of shingles which are otherwise intact is an aesthetic problem and not considered damage. Wooden shakes may show cracks, curling, or could be missing totally. If the underlying felt has actually been exposed, this can lead to leaks and must be fixed. On any roof, examine the flashing and sealant for gaps. Don't neglect assessing the roof from the inside. In the attic or crawl space, look for any type of damage to the structural supports for sagging or splitting. With a flashlight, look all around for any sort of proof of water damage, holes, or cracks. To get an idea of exactly how age influences the condition of your roofing, multiply the chronological age of the roof by 4. This number will certainly give you an idea of the equivalent age for an individual. So, a 12 year old roof looks like a 48 year old person. The average life of a roof is 20 to 25 years, but a lot depends on exactly what it's been exposed to. If your roofing is greater than ten years old, or has actually been exposed to severe weather such as hail or gale-force winds, it's a good idea to examine it for condition. Replacing a roof is a large investment, and you want to be sure that you get what you pay for. When you are searching for a roofing professional, ask other residents in your community for recommendations. Narrow it down to 3 or four service providers, however before you make a final decision, ask them the following questions. Initially, ask how they might go about the job. This will definitely offer you insight into the procedures of this specific service provider. Different businesses might work in a different way, and one is not automatically much better or worse than another. Nevertheless, one approach could fit better with your own line of thought. Discover exactly how long the job is anticipated to take, and how soon they might be able to begin. Find out how long they've been in business. A long established firm naturally has more experience and has developed its track record. Likewise, ask how much of their business originates from referrals and repeat clients. Ask if all workmen are staff members, or if they make use of subcontractors. If both, learn which jobs are contracted out. Make sure that all called for licenses, bonding, and worker's compensation and liability insurance coverage are in place. Follow up by checking the license and registration numbers you are given with your local regulating body. Some contractors could have extra certification. These can be a sign of a higher degree of professionalism and experience, however typically aren't a necessity. Also ask just what permits will be required. If you already know the answer to this question, utilize that knowledge to check against the response you are provided. It is necessary that all needed permits be in place before work is started, and you don't want to discover yourself in the position of having to face a zoning violation. Get a list of 3 or even more references that includes projects comparable to yours. A responsible company will certainly be happy to offer you such a list. You might also ask for references from vendors or subcontractors also, which will give you an idea of the service provider's business practices. It's a really good idea to have a roofing inspection, or at least to look at it carefully yourself, both prior to and after work is done. You'll wish to see that the finished work has actually used new, quality materials, and that the flashing and sealant are flush and have no gaps. Take the hiring of a roofing professional seriously. The very best organizations will be open and forthcoming with answers to your questions. Avoid any sort of company which appears reluctant to share any sort of info with you. Roofs, being the peripheral covering of our properties needs to be given the most priority when it concerns routine maintenance. Considered as one of the most important parts of a structural design, due to the fact that they provide shelter from all kinds of weather conditions, roofs must be given the utmost concern. And in line with this, you most certainly need an expert roofing contractor who is able to provide you efficient and superior service. When is the right time to replace my roof? This can be done manually. Just simply examine directly every detail of your roof. Search for traces of peeling, cracks and leaking. In the event you need support or are not certain with exactly what you are doing, call a roofing contractor to back you up. Just how much will it cost me for a roof replacement? It does depend on the contractor offering the service. Typical prices for re-roofing vary between $ 10,000 and $ 25,000. Just make sure to ask your contractors if they offer warranties. How do we understand if the roofing company we employ is the best? Prior to choosing a roofing company, invest some time in evaluating and checking out the contractor's customer history. Pointers like professional's experience in consumer satisfaction, the kinds of homes and properties that they have actually worked previously, if they are established and accredited in the field and if they are a member of local organizations like the chamber and Better Business Bureau. Is it necessary to have my chimney examined when I have my roof fixed? Definitely, Yes! This is because a staining in addition to rusting from the chimney can certainly cause trouble with your roof. The principle that goes for air flow is directly proportional to the circulation of the air within the location in order to keep freshness and to the reduce wetness level. Though air flow is one of the important features in constructing a house, many homes don't have air flow or shall we say, not enough of it. Improper attic air flow could result in an assortment of problems. A roof leak is among the most typical. Understanding attic ventilation principles helps you understand what an effective venting system can provide you the whole year through. You don't want to experience inconveniences and problems in regards to keeping your home appropriately maintained. Certainly, a "healthy" attic can easily help you stay clear of a few of these issues. Having proper attic venting can easily extend the service of your roof can easily offer you. So Why Precisely Is Proper Attic Venting Important? Hot and wet air has a tendency of accumulating in your attic which can produce a place that mold and mildew will certainly flourish. Appropriate attic|loft ventilation makes it possible for condensation to escape and the attic to stay dry therefore preventing mold and mildew to form. This has the beneficial result of keeping your home heating and cooling bills more workable and keeping your roof in good condition. Additionally, correct ventilation helps in keeping the attic cool. An inadequately ventilated attic can in fact cause your paint to peel off, damage your roof, efficiency of insulation is lowered and might threaten the architectural dependability of your attic. Incorrect attic ventilation can also produce an undesirable living environment within your house, as mold in the attic will certainly enter the main parts of the home. Correct air flow is suggested to help decrease wetness content within the attic therefore keeping the area dry. If you keep the location dry you avoid a number of different concerns. By reviewing the facts it becomes more obvious that appropriate attic air flow is not just about providing you convenience during hot or cool seasons. It additionally serves other functions such as providing added comfort, reducing energy consumption and most importantly helps keep structures and materials from possible damages. In case you are not used to just how all these things help your attic or if you think you will require roofing help, you definitely must talk to a roofer concerning your existing venting system. Proper ventilation is important to a home to help preserve the integrity of the structure and the health of the residents within the home. Slate roofing has identified itself in the mainstream for quite some time now. Furthermore, a greater number of the roofs you may see on a regular basis, contingent on where you live, will be a slate roof. Customarily, these roofs have been considered one of the top quality and longest lasting residential roofing material on the market. Although slate is markedly durable, some homeowners choose to get them installed for various other reasons. What precisely is slate? Slate is actually a type of stone. What numerous people may not be aware of, is that you can classify a lot of slate roofs simply when the light hits it from a particular angle. This is because of the mica component that is found in slate, that can be up to 40% in many forms of slate. Slate is a beautiful, elegant looking product that looks fantastic on any design of roof. Even though the material itself holds a gorgeous color, many customers don't even recognize how many choices they actually have when choosing a slate roof. Slate roofs supply people with the possibility to search from various thicknesses and sizes to assure that it is an accurate fit for the material that is represented on your home. They also permit you to customize how they are installed, providing a range of patterns for installation. Other than simply circumference, slate roofs also come in a collection of colors, including: red, black, gray, green, and purple. There is also such a slate choice as "mottled" tiles that display as if they are a composite of all the colors to choose from. While this type of roof brings wonderful customization, it is also one of the longest lasting roofs on the market. While similar in style, you have to repair roof shingles frequently because of typical wear and tear. Slate roofs are estimated to last up to a century, with rarely any maintenance along the way. Of course drastic weather can result in minor costs, nevertheless, with a strong and comprehensive installation, you are sure to keep your cash in your pocket and get the most out of your investment. You may be wondering how long it takes to install slate on your roof. Typically with one person, most people will install 100 square feet of slate a day. You are likely going to pay around 10 to 30 dollars per slate. This can be quite a purchase, but you will likely never have to do any repairs on your roof for the rest of the time that you live in the house! It is definitely a high quality investment to think of when selecting the material you want to apply on your roof. A wood shingle, also called a wood shake, is an alternative to a traditional asphalt single. It is typically used in a residential roofing project because it has a natural look. Wood shingles have different widths, colors, thicknesses, and cuts, resulting in a unique roof filled with character. There are several reasons to install a wood shake roof on a home, but there are also some cons off which you should be aware. Unless it is properly maintained and repaired, a wood shake roof will not last as long as a roof made from other materials. This increases the lifecycle cost of the roof. Insects, rot, and mold present issues for this type of shingle. From an environmental perspective, wood shakes are not desirable because they cannot be recycled. In addition, wood is not the best material to use for fire safety purposes. The spray or wipe-on fire retardants used on the shakes last for only a few years and provide less protection against fires. Roofers have a more complicated job when they must install wood shakes as opposed to traditional asphalt shingles. The quality of the wood shakes and experience level of the roofer determine the quality of the installed roof. The best types of wood shakes are made from heartwood of old, large cedar trees. Different shake mills produce different calibers of the product. A wood roof provides energy benefits because it has an insulating quality. It also provides the roof with breathability. Shingles are laid on felt rows atop small openings that permit circulation of air. Fire retardant is impregnated on pressure-treated wood shakes, causing these to meet national standards for fire safety. A pressure treated wood shingle lasts longer than one made from another type of wood. As a counter to not being recyclable, these shingles are manufactured from natural materials, most made from renewable varieties of trees. If the wood is sealed, it is not as prone to weather-related deterioration. This allows the roof to endure sun, rain, snow, and wind for a longer time without needing to be replaced. Cedar shingles are a popular type of wood shingles and are one of the oldest roofing materials. As they age, their finish takes on a soft silver or gray hue. They withstand strong winds, storms, hurricanes, and impact from debris. A home with a cedar shingle roof has curb appeal, which may cause property value to increase. Do you need a new roof or some type of roof repair? It is often said that anything that can go wrong, will go wrong and this is true for the roof of a house as well. It is important to know what things can cause the need for a roof repair and how to recognize these so that the roof can be properly and promptly fixed. Unfortunately, these little critters like to take up residence in the attics, crawl spaces and ceilings of California homes. Not only are roof rats known for their history of carrying the bubonic plague, but they can also do a number on the roof of a house. They little guys and gals like to chew at things and make nests. This can lead to structural damage, holes and other issues that will need to be quickly repaired. Seeing these rats is not likely, but they will leave evidence that they are there, such as their droppings, whole or partial nests and sounds in the walls. Twice a year, the roof should be completely inspected. The homeowner can do this by simply looking at the shingles, checking for leaks and holes and making sure that the roof is still in good shape both outside and inside. While inspecting, also make sure that all caulking and sealants are not deteriorating. If they are, either reapply them or have a professional come out and do it. Chimneys, skylights and vents should also be inspected to make sure that they are fully sealed and not in need of repair. At least once a year - typically in the springtime - it is important to clear debris off of the roof and out of the gutters. If any trees are overhanging, these should also be trimmed because when the wind moves them, the friction can destroy shingles. Earthquakes, hail and severe wind can do a number on a roof. Following extreme weather, roofing should be thoroughly checked. Going up to the highest level of the house and checking for things like leaks and holes from the inside should be top priority. Next, either head up on a ladder - or have a professional stop by - to inspect the gutters, shingles and other exterior roof components. If anything is damaged, it should be replaced as soon as possible to prevent further damage. Roofing problems can have disastrous consequences that can lead to tens of thousands of dollars in repair costs. Because damage often goes unseen, leaks have an opportunity to promote rotting and mold for months or years. A new roof can prolong the life of a home by decades; however, not every type of shingle is appropriate for every homeowner. Before you meet with a roofer, learn the different types of roofing available to help you decide which is best for your particular needs. Asphalt Shingles - These shingles are ideal for homeowners who can't afford to spend too much money on their roofs. Made from fiberglass or organic materials, these shingles are typically treated against mildew and mold. They are also long-lasting and usually require only light maintenance. Tile Shingles - These shingles are perfect for homeowners who live in hot climates, because they hold up well under intense sun exposure. They're also great for homes that have a Spanish or southwestern theme. Tile shingles are more durable than cheaper asphalt shingles and are available as clay, slate, concrete and ceramic. Wood shakes - These shingles are popular amongst homeowners who desire a more natural, organic appearance. Although they cost quite a bit more than asphalt shingles, wooden shakes last much longer; are biodegradable; and provide better insulation, while still allowing plenty of air penetration to prevent rot and mold outbreaks. Sheet metal - These days, sheet metal shingles are becoming more and more popular, thanks to their impressive durability and propensity for keeping utility costs down. Although they can cost a lot, metal shingles last a very long time. They also tend to provide greater long-term savings by keeping energy heating and cooling costs much lower. TPO roofing - Thermo Polyolefin membranes are made from ethylene propylene rubber, which is designed to be both friendly to the environment and flexible enough to move along with buildings as they expand and contract during the cold and warm months of the year. Ideal for flat roofs, these are typically used on apartment complexes; however, some homeowners prefer them over standard shingles. Many homeowner associations and loan programs require specific standards and materials for roofing. Before you choose a roofing company, make sure they are familiar with your needs. The wrong type of shingle could end up costing you thousands of dollars if it doesn't bring your home up to code.